The 49th Annual World Series of Poker (WSOP) will kick off next week, with players from around the world checking in to the Rio All-Suite Hotel & Casino to take part in many of the scheduled events. Running from May 29th until July 17th, the 2018 WSOP is set to offer players tons of value and action. The schedule includes 78 official gold bracelet events with the Main Event scheduled for July 2–14, 2018.
Who Will Be Participating in the 2018 WSOP? Poker players from around the world, both amateurs and professionals, will be heading to Las Vegas this weekend into next week to begin their foray within the 2018 WSOP. Every year, tens of thousands visit Sin City to take part of or catch a glimpse of the poker action. 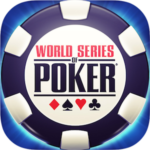 The WSOP continues to be the most anticipated live tournament series in the United States, providing players with a ton of poker gaming –including scheduled tournament events, side events, and cash games. In 2017, the WSOP was a great success, including the Main Event. The Main Event tends to be the event that everyone looks forward to and last year was no exception. In 2017, the Main Event saw 7,221 players paying the $10,000 entry fee to compete. Close to $68 million was up for grabs with the first-place winner, Scott Blumstein, earning $8,150,000 for outlasting the competition. This year, all eyes will be on the Main Event, to see who has what it takes to outlast the field and earn bragging rights for the year. Last year, the field was the third-largest in the history of the WSOP, so it will be interesting to see how many players compete this year. Each year, there are key events that everyone looks forward to, aside from the Main Event. This year, Event #21 looks promising, offering players the chance to become an instant millionaire. The $1,500 Millionaire Maker No Limit Hold’em event kicks off on June 9th and 10th, offering $1 million to the winner. For the ladies, Event #57 offers great value. The $10,000/$1,000 LADIES No Limit Hold’em Championship will kick off on June 28th, offering ladies a discounted buy-in of just $1,000. A fun event on the schedule, Event #62 is the $888 Crazy Eights tournament. This event will offer up $888,888 to the winner. The Little One for One Drop is also back on the schedule this year. With a $1,000 buy-in, the event will be donating to the One Drop charity. Players can choose to add on 5,000 more chips for just $111. Who can we expect to compete in the WSOP this year? As far as pros are concerned, there should be no shortage of players taking part. Phil Ivey has even commented that he will be visiting Las Vegas next week, taking part in the WSOP. The poker pro has laid low as of late, so it will be interesting to see how he fares during the events he chooses to participate in. While no confirmation has been made, we should see other pros like Phil Hellmuth taking part. The regulars are sure to show up and try to win yet another WSOP gold bracelet. We will keep you up to date on who is competing and all the action as it happens during the 2018 World Series of Poker! How much is the World Series of Poker bracelet worth? The World Series of Poker Main Event Bracelet has 120 diamonds on 136 grams of 18-carat (75 percent) white gold. The value of the 2007 bracelets have not been released, but the typical price of a Corum watch ranges from $1,500–$30,000+. At what casino is the World Series of Poker held? Harrah’s Entertainment (Caesars Entertainment) purchased Binion’s Horseshoe in 2004. It kept the Horseshoe and World Series of Poker brands but sold the hotel and casino. Since 2005, the Series events have been held at the Rio Hotel and Casino, located just off the Las Vegas Strip. The latter is owned by Harrah’s. How much does it cost to get into the World Series of Poker? The WSOP ends each year with the $10,000 no-limit hold’em “Main Event”. Ever since 2004, it has attracted thousands of players. The winner is in for a multi-million dollar cash prize and a bracelet, which has become the most coveted award a poker player can win. Who was the main event winner of WSOP 2017? Scott Blumstein of Brigantine, New Jersey earned $8,150,000 and won the WSOP Main Event bracelet.